Finding the perfect conference or meeting venue for your delegates can be time consuming as well as confusing. The main things to consider are location, budget, facilities and services, space, the event team support and, most importantly, a site visit. 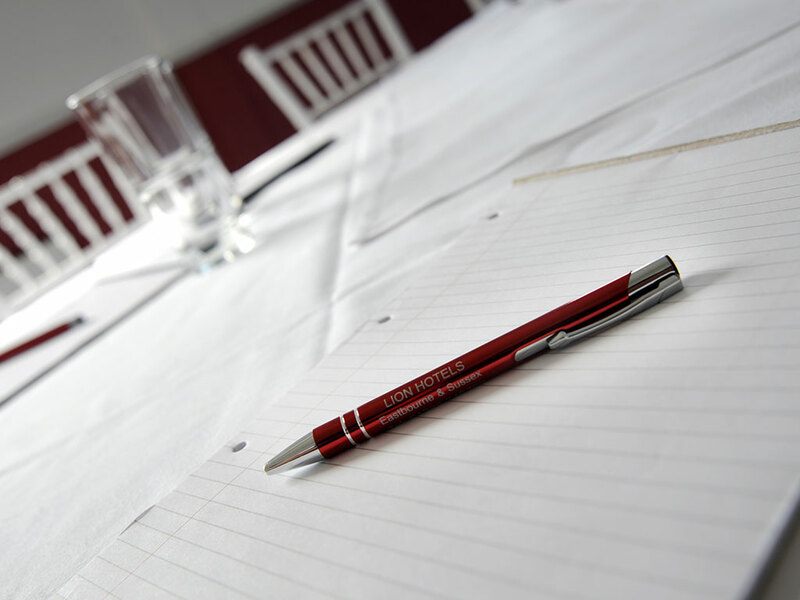 Whether it’s a conference for 250, a small or large Board Meeting or a Corporate Dinner for 20, we can configure our meeting space to suit your requirements. 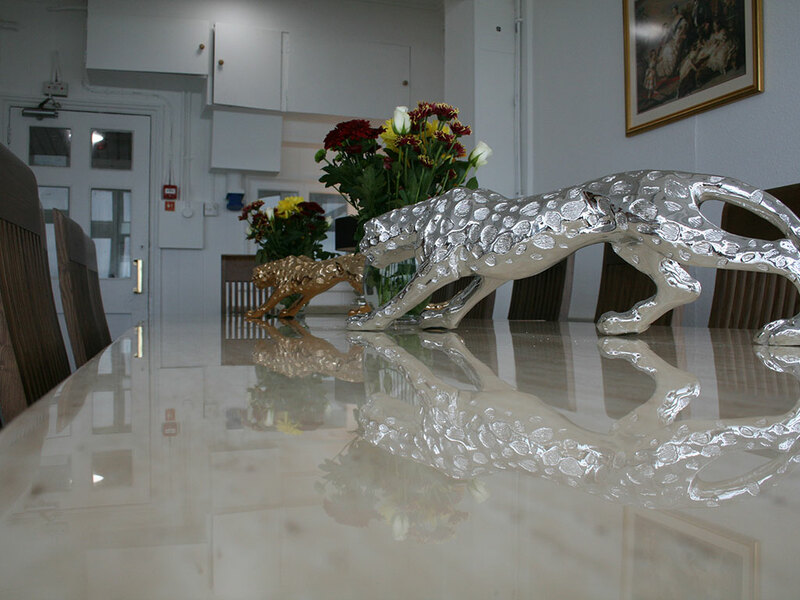 We welcome site viewings as we love to show off The Ocean Suite and so will you!! 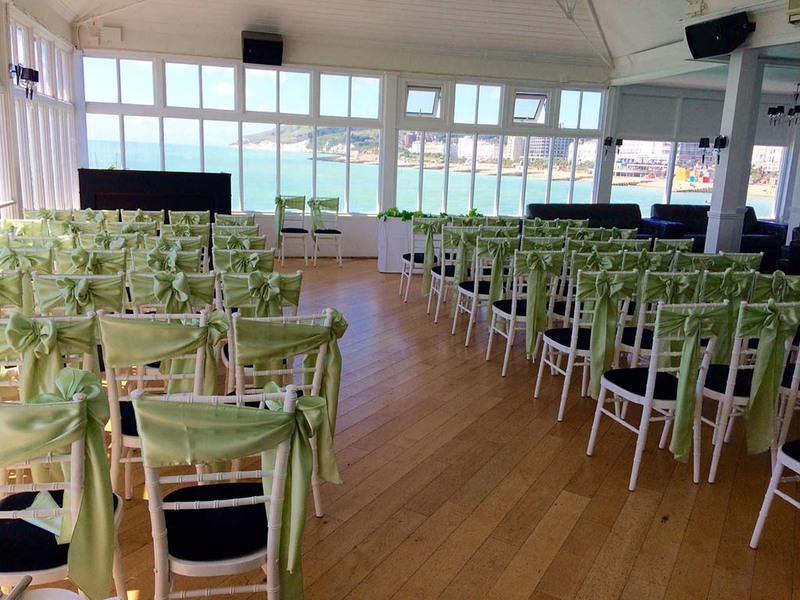 Situated on the first floor at the end of Eastbourne Pier, this iconic, Grade II listed venue has elevated views across the sea from Hastings to Beachy Head as well as the Eastbourne coastline. 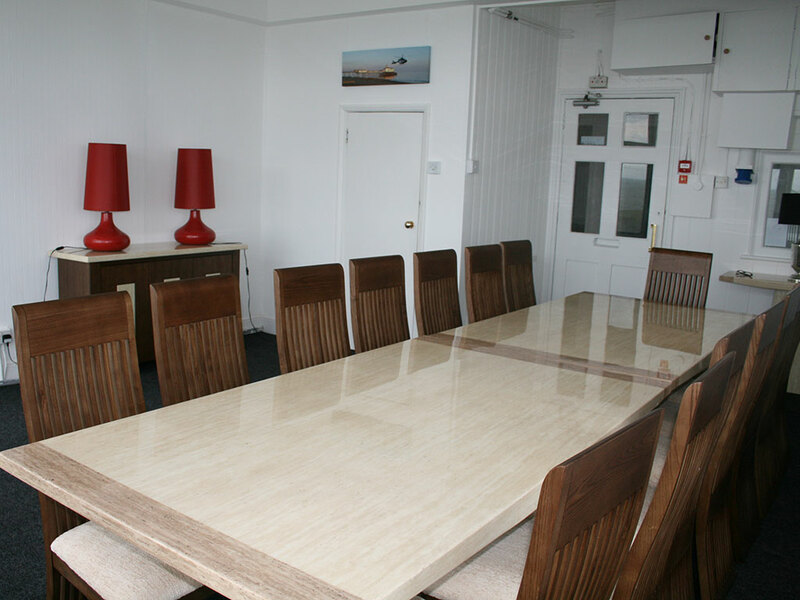 Board Meetings, Training Courses, Corporate Launches, Charity Dinners, Interviews................The Ocean Suite is the perfect location, away from distraction, facilitating creative thinking and learning. The change of scenery enables delegates to see things from a different prospective whilst the calming, relaxing backdrop of the sea eases tired or stressful minds. 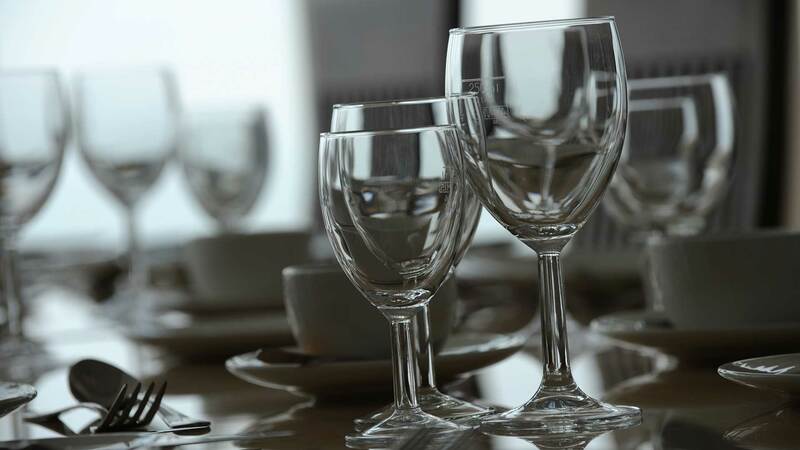 Our event management team has a wealth of experience and prioritises in delivering above expectation and looks forward to helping create your perfect event. These spaces can be booked individually or combined, using the smaller spaces as breakout rooms. 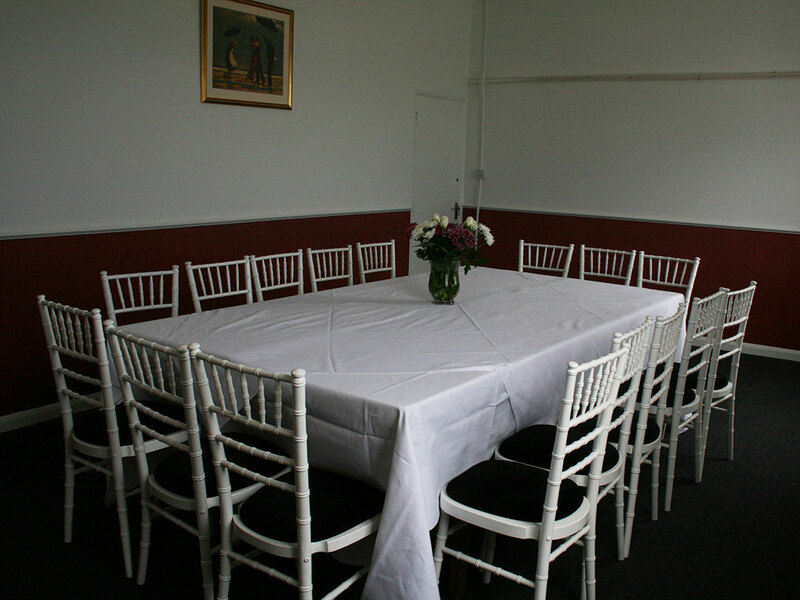 Refreshments and catering, for large or small numbers, are available. 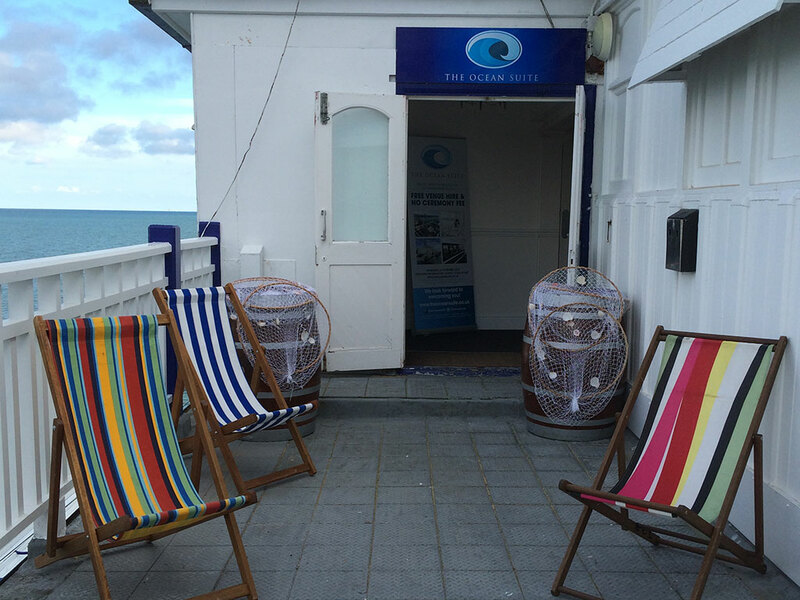 Please contact sales@eastbournepier.com for quotes. The Ocean Suite is the largest of the spaces available, tastefully decorated, this is a contemporary space which is perfect for promoting your brand or for theming with your conference message. 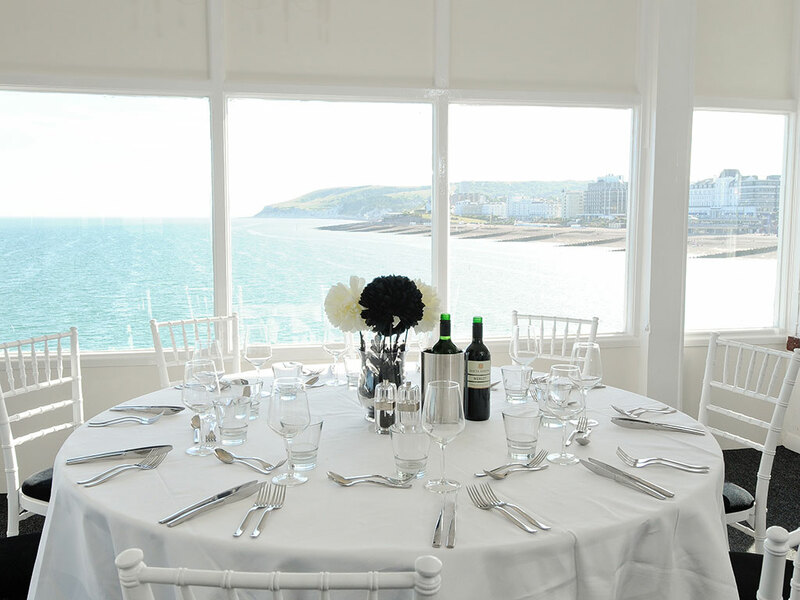 The Victoria Suite has fantastic sea views and is filled with natural daylight. The room is self-contained with a separate kitchenette area. The space boasts a marble boardroom table with high-back chairs. The Victoria Suite is also perfect for private Afternoon Tea for up to 16 people or for a small civil ceremony with an intimate Wedding Breakfast to follow. The Albert Suite is slightly smaller than The Victoria Suite. The Alice Suite is adjacent to The Albert Suite. This space features one wall of windows which offers stunning views across to Beachy Head and of the Eastbourne coastline. 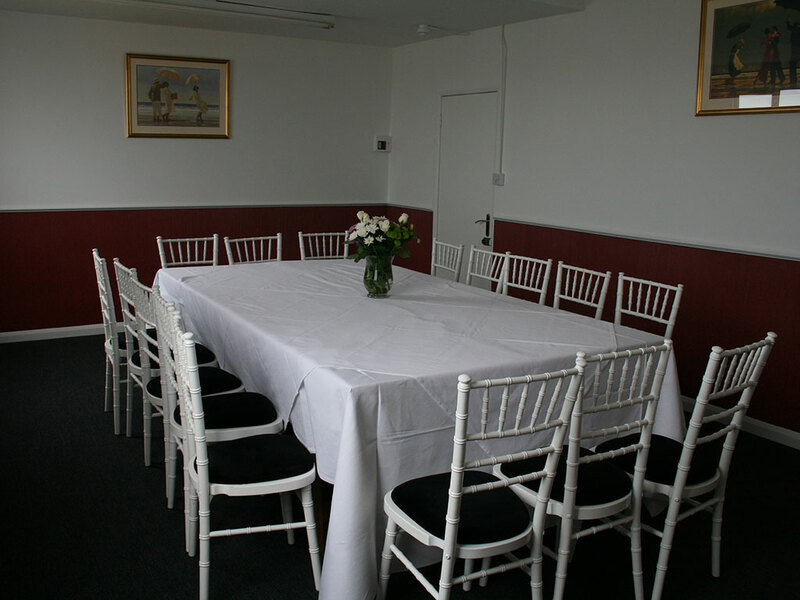 The Alice Suite is a perfect waiting room or breakout room when used in conjunction with our other suites. 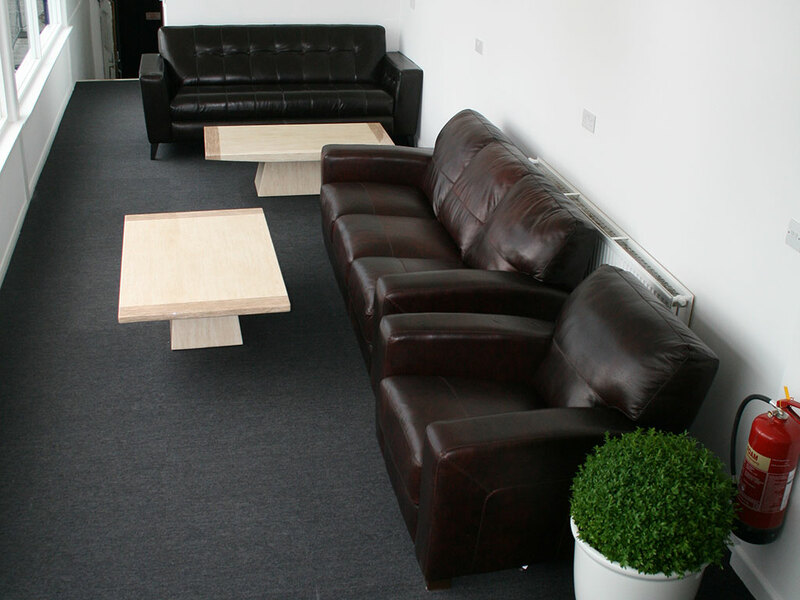 Furnished with leather sofas and marble coffee tables, this area can be used as an informal space. 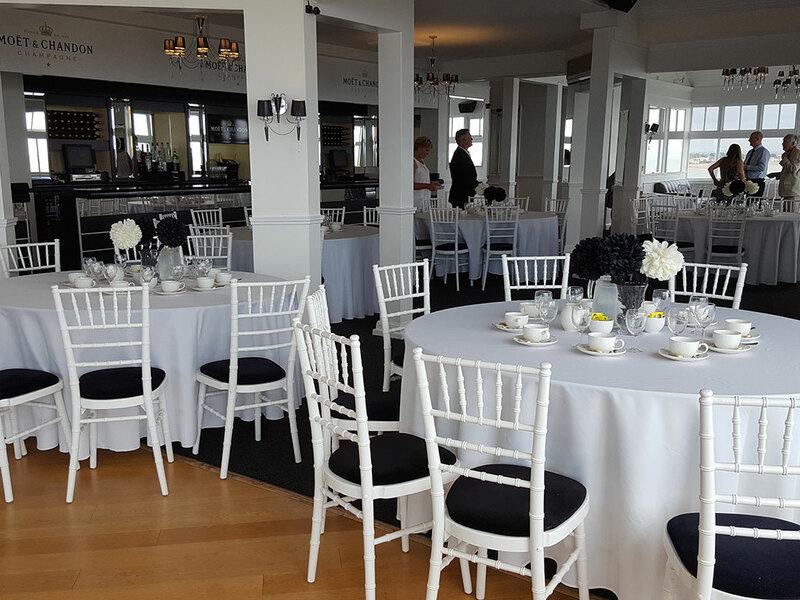 To book one of our event spaces, or for further information, please contact sales@eastbournepier.com or call 01323 748710 and one of our Events Team will be happy to discuss and tailor your event requirements. 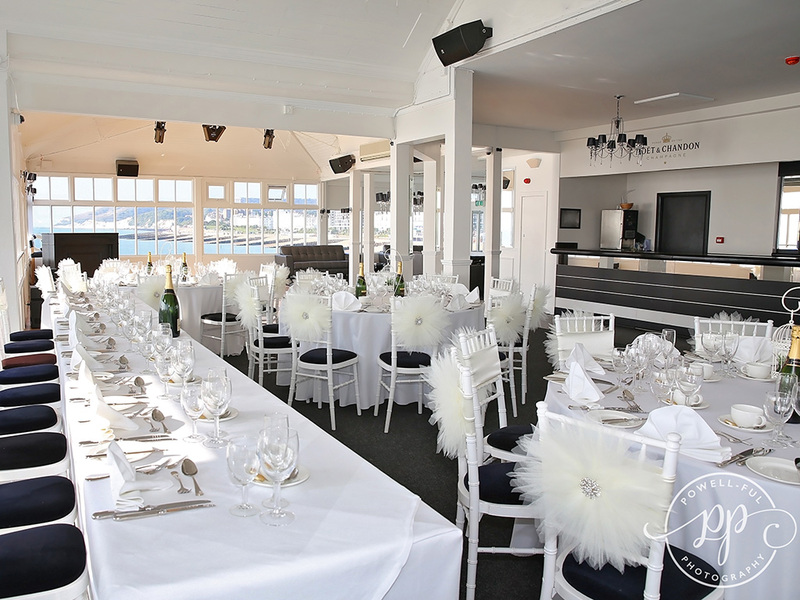 The Ocean Suite is a stunning venue at which to hold the most spectacular day of your life. With panoramic views across the South Coast, The Ocean Suite offers a beautiful space where you can celebrate uninterrupted with your friends and family. 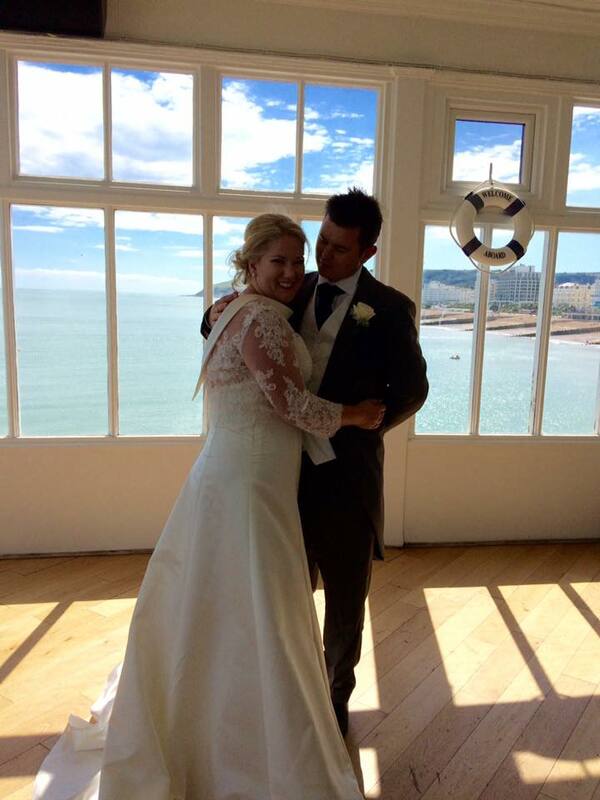 The Ocean Suite has been approved from Civil Marriages and Civil Partnership Ceremonies. Please note that although there is no charge to hold the ceremony at the venue you are still required to booked the registrar and their services for the day, please contact us for more details. 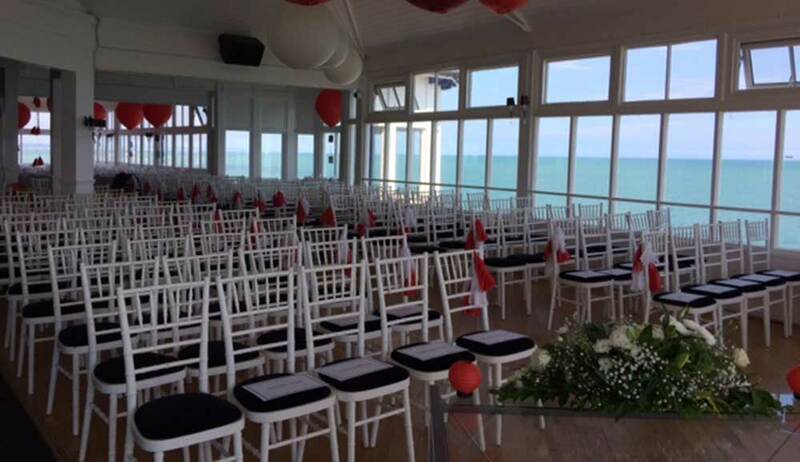 The Ocean Suite wedding venue is located at the end of the Eastbourne Pier, reached via stairs to a private traditional terrace area, perfect for your drink reception, the suite can hold up to 180 guests and is glassed to three sides and bathes in natural light which gives a spectacular feeling of being on board a luxury boat. Security is required for the evening reception, however, we always recommend having security throughout the whole day, please speak to one of our sales team for more information. Our Summer Weddings are based on all weddings booked throughout May to September. Included in all Wedding packages, The Ocean Suite is available to you from 9am till 2am. 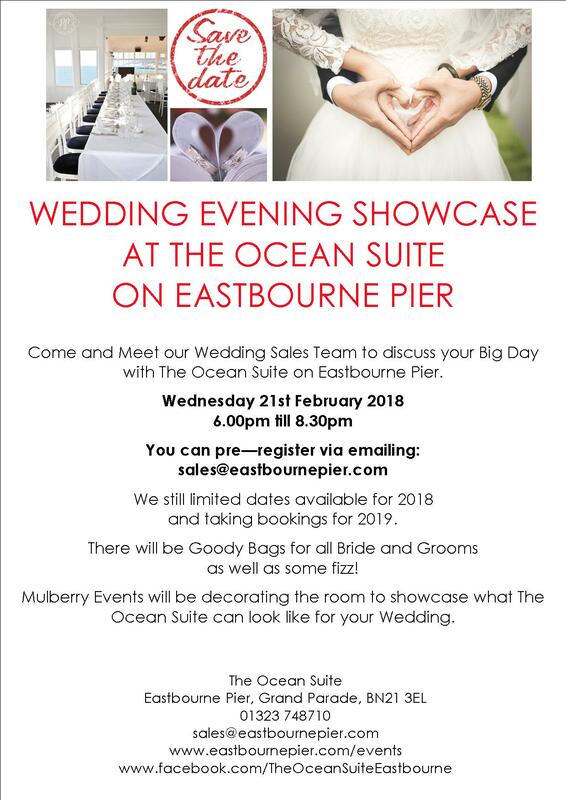 For the first time, we will be opening our doors to showcase The Ocean Suite when it is all decorated for a Wedding, we have the fantastic Mulberry Events decorating the venue with drapes, fairy lights and a selection of centrepieces. There will be something for everyone! There is no need to make an appointment to come in – it is a free event from 6.00 – 8.30pm and each couple will get a glass of fizz on arrival. We have also had Stuart from Smiley Booth confirm he will be there with his interactive photo booth – it is defiantly something to see! 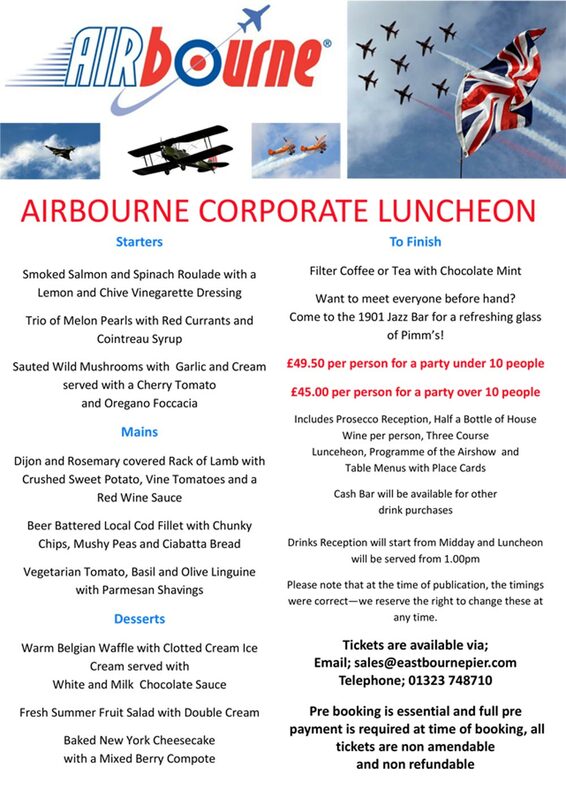 Once again we will be hosting our Corporate Luncheon on Friday 18th August – a perfect opportunity for an office day out and to impress those important clients! 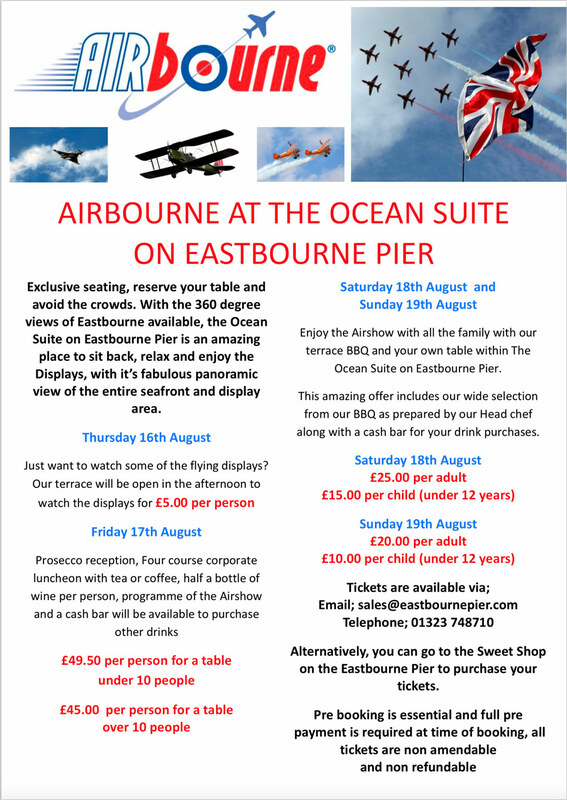 And where else can you watch those amazing flying displays than from Eastbourne Pier! 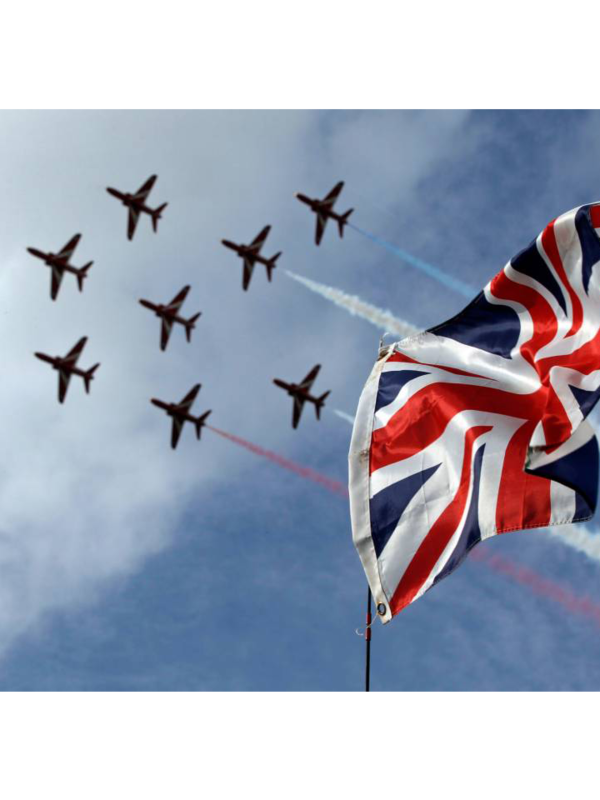 Over the weekend, The Ocean Suite will be available to enjoy our family BBQ, with a wide selection of options available from the BBQ – there is no place better to be wowed by the Red Arrows and other entertainment. The Ocean Suite is reached via stairs up to a private upper area of the pier above the existing Waterfront bar. The main entrance is classy and elegant with black and white pictures mapping out Eastbourne's history. The Ocean Suite is available to hire for private parties from Birthdays to Informal Wedding Reception’s. 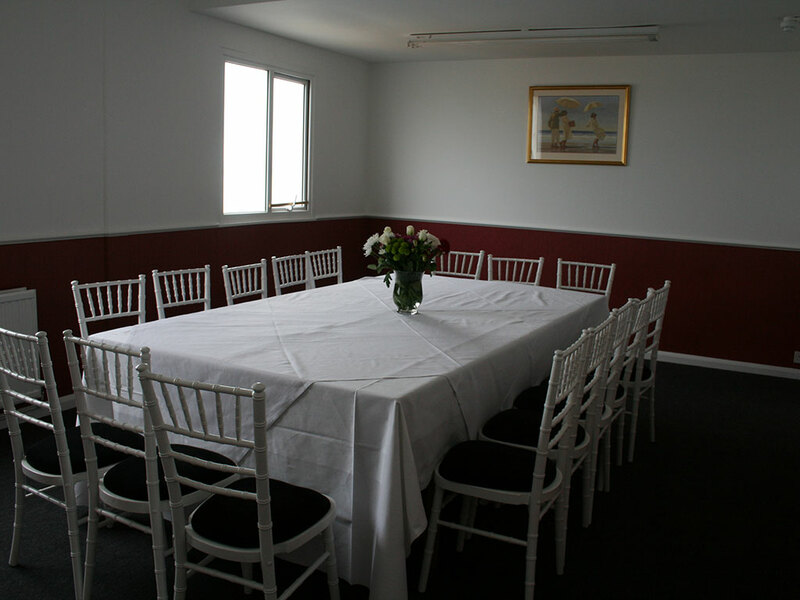 The room hire charges start from £495.00 and this allows you access to The Ocean Suite from 9.00am till 2.00am. 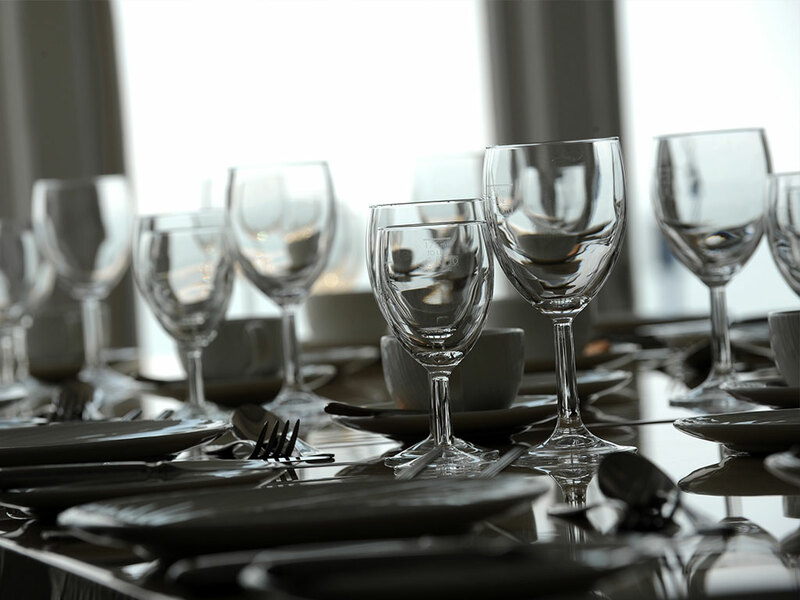 Security is required for any private party that takes place within The Ocean Suite, this is something that we can arrange for you or you can provide your own (subject to discussion with your Event Manager). Food Options - so many options and so little time! 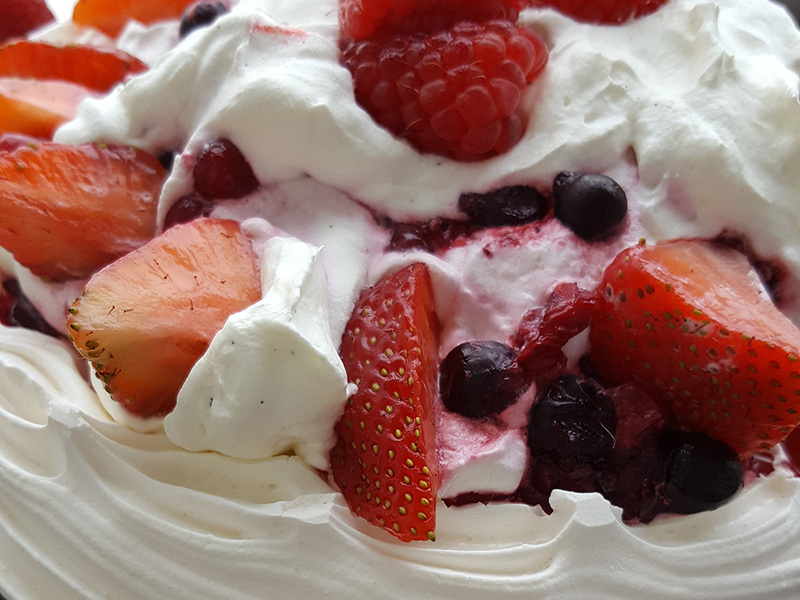 Wedding Breakfast, Banqueting Menu, Finger Buffet, Hot Buffet, Cold Buffetand BBQ there are so many options available for you  you need to decide what you want to have! 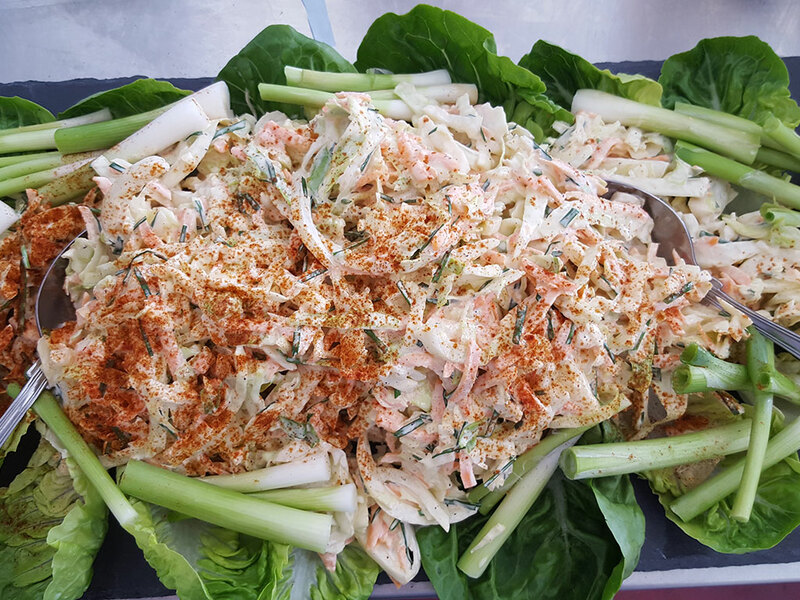 The way that we approach this, we always advise you to decide what you wantto have and then from there, we can adapt the menu to be suitable for all dietary requirements. This is the first meal that you eat together as a Married Couple, like the first meal of the day...Breakfast! This is typically a three or four course menu for a large event such as a gala dinner, awards ceremony or a fundraiser event. This is a selection of hot and cold options that you can pick up and eat with your fingers, including; sausage rolls, cheese and pineapple on sticks, bite size doughnuts and mini chocolate brownies. 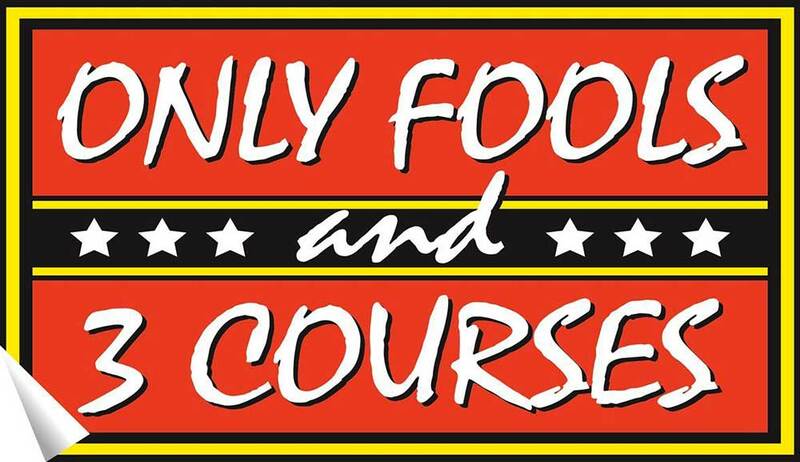 This is a choice of hot food that does require a fork to eat but not to sit down at a table, options could include; curry,bolognese, samosas or pastas. This is a choice of cold dishes such as a meat selection, cheeses and breads with pickles, olives and quiche. Exactly as it says on the tin! Who cannot resist a BBQ? Buffets...our best piece of advice for a buffet is never cater for the wholeparty  usually we recommend that you cater for 75% of the expected numbers, this amount is sufficient for your party  unless you are planning on doinga buffet instead of a main meal, then we strongly suggest that you cater forthe full numbers. Weddings, birthdays, lifetime celebrations - a great event takes time to prepare. Here is our guide to help you prepare to plan your big event. "I don't know" is the most common answer to our first question "What would you like to do?" 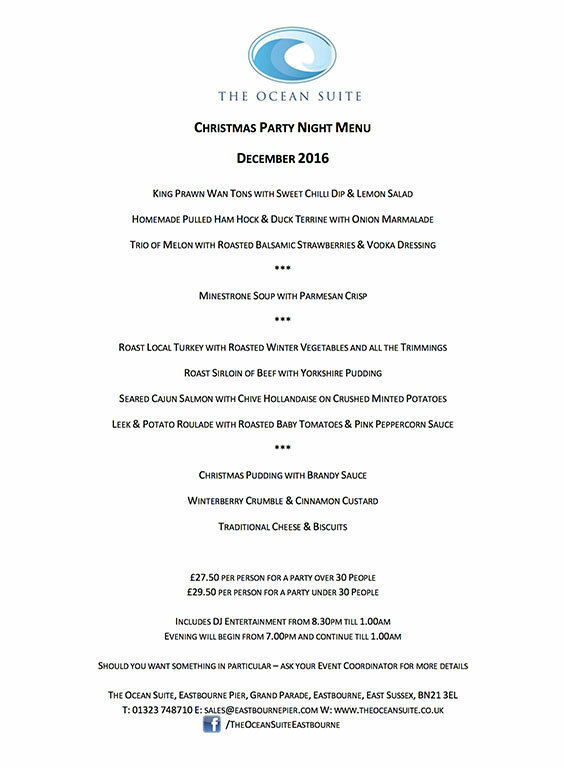 when it comes to organising an event, from a meal with friends to a full Wedding Day but at the moment it is the season for Christmas Party Nights - it can be a daunting task - but we are here to help you! 3. Buffet or Sit Down Menu? 6. Budget! Budget! Set a Budget! 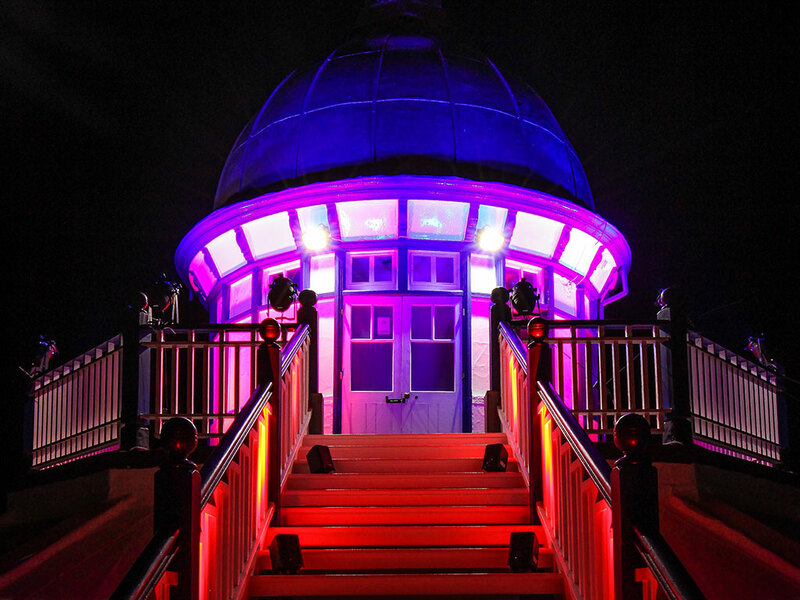 Eastbourne Pier is the home to one of Eastbourne's largest event space with the capacity of 150 seating to 200 reception. 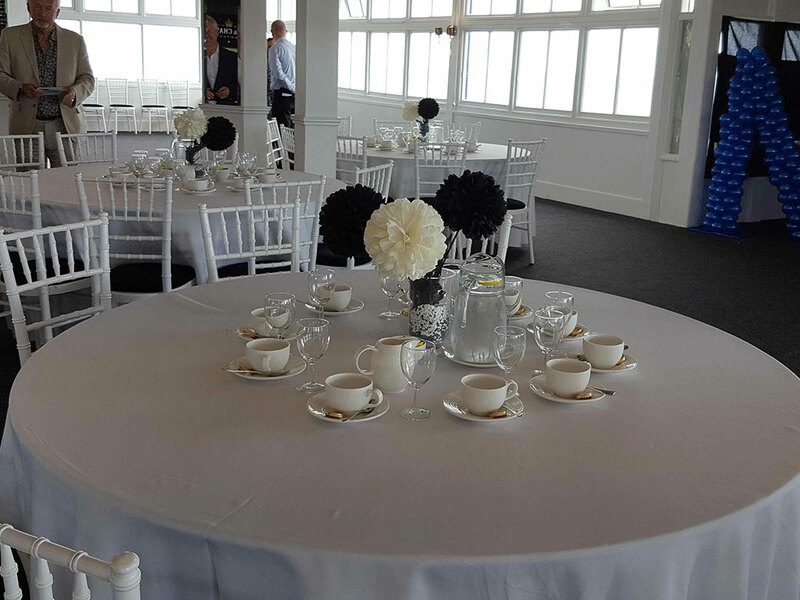 The Ocean Suite is located at the end of Eastbourne Pier with its stunning views of the English Channel it is a spectacular and elegantly decorated room to host any event. 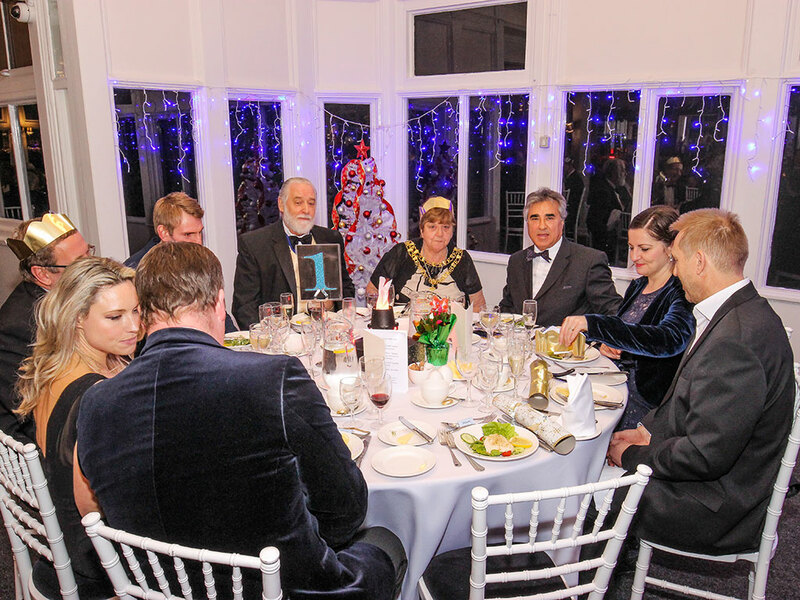 Sheikh Abid Gulzar hosted his annual Black Tie Dinner event on Friday, 2nd December 2016 to celebrate the purchase of Eastbourne Pier in November 2015 - we are pleased to say that the Mayor of Eastbourne, Caroline Ansell MP and other distinguished guests were able to attend. 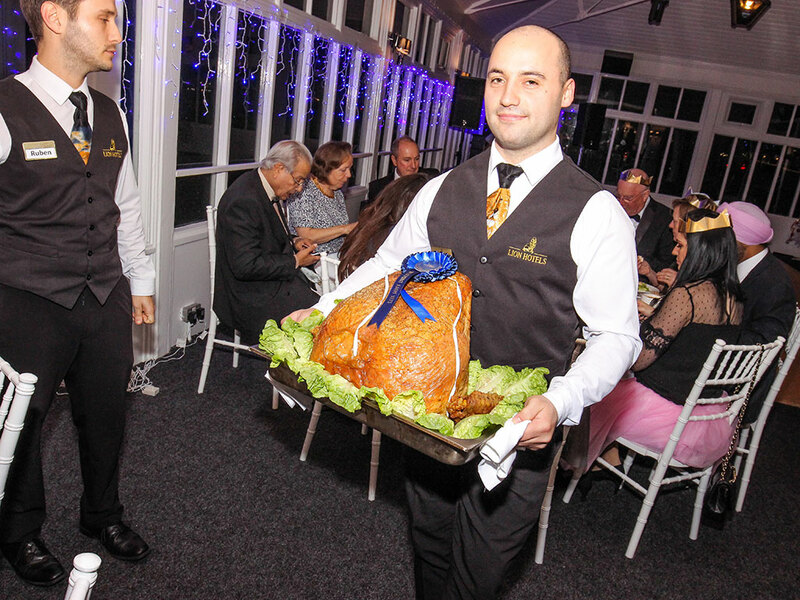 This event took about six weeks to plan from the initial stages of planning a guest list to the table decorations, seating arrangements and place cards to deciding on our menu and how to serve it - this included an award winning Champion Local Sussex Turkey. The most important thing that we can advise is that it does take time to arrange any event, so make sure that you give yourself a realistic time frame to arrange it and remember that lists are the key thing and it feels good to tick them off! 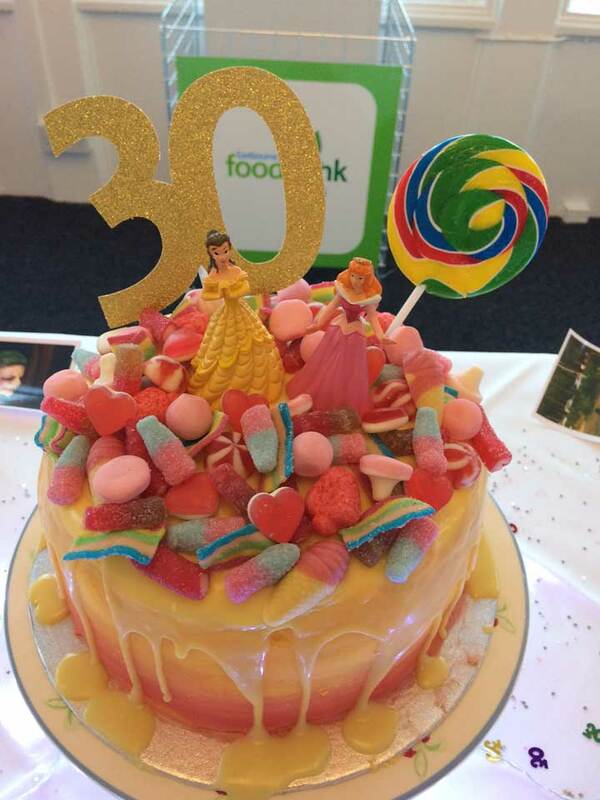 “Trying to find a special venue for my big three-oh party in the height of wedding season was no easy task, but from day one Fran was an absolute star. She managed to get me a date the day after my actual birthday, and helped me arranged everything from start to finish, right down to arranging some gorgeous sparkly balloons for the tables that matched my glitter theme. The venue itself is absolutely stunning and well taken care of. Being able to come in and set up so early in the day avoided a lot of potential stress, and meant we could take our time to make sure it was right. Fran checked in on us during set up to ensure everything was how we wanted it, which was great. The bar staff on the night were fantastic, with special mention to Chris who was unstoppable in his friendliness and helpfulness. Between Chris and Fran the whole night could not have gone better or been an easier process, and I'm so grateful to them for their patience and kindness throughout, particularly Fran as I'm sure my constant lateness for our meetings and flip flopping about timings for the night were frustrating! 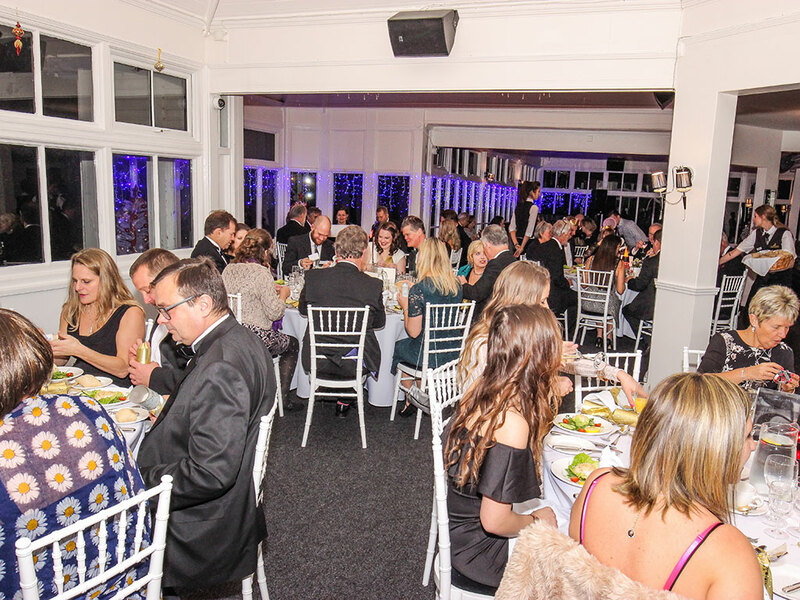 The event was a huge success and everyone loved the venue - it was the perfect contrast to The Grand and provided a fun, relaxed evening for everyone. The BBQ was superb and all of your team were great. 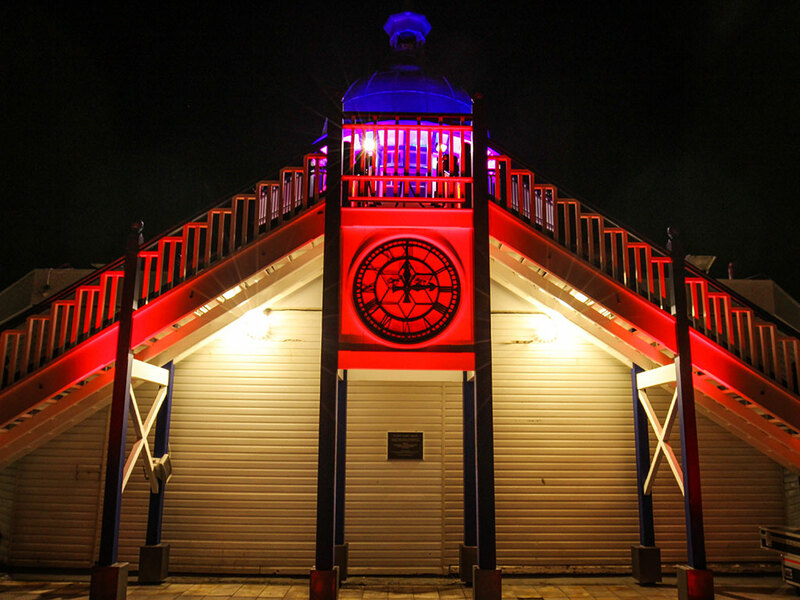 Thank you for all your help in the run up to the event and on the day itself - we would certainly use Eastbourne Pier again when the need arises." Thanks to you and the team for an amazing wedding. 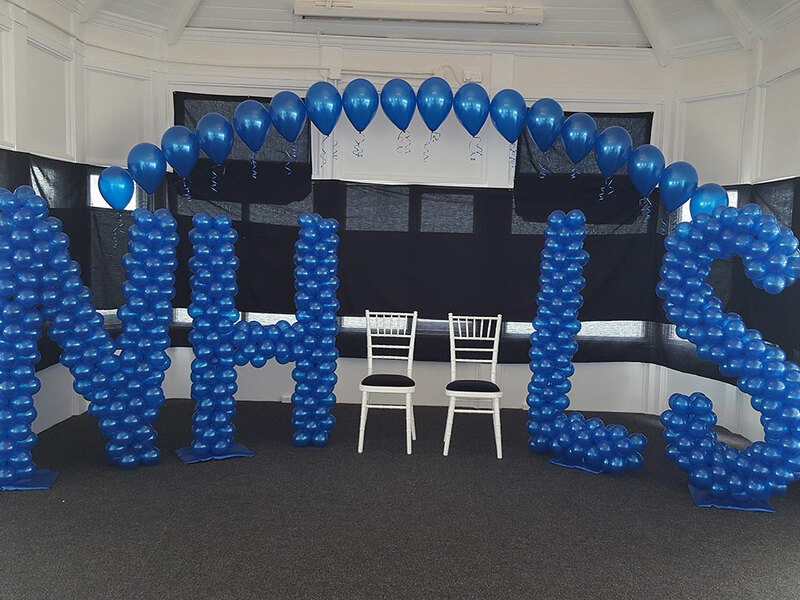 The whole event was extremely well organised from start to finish and the staff were extremely helpful throughout. The venue was lovely and guests were commenting all day about how amazing the venue is. "Thanks for your help and efficiency with organising our event. Everyone had the most amazing time in the Private Victoria Suite on Saturday. The BBQ was lovely and plenty to eat. The cheese and biscuits and coffee/tea went down well in the afternoon. All went smoothly. I will book again for next year!" 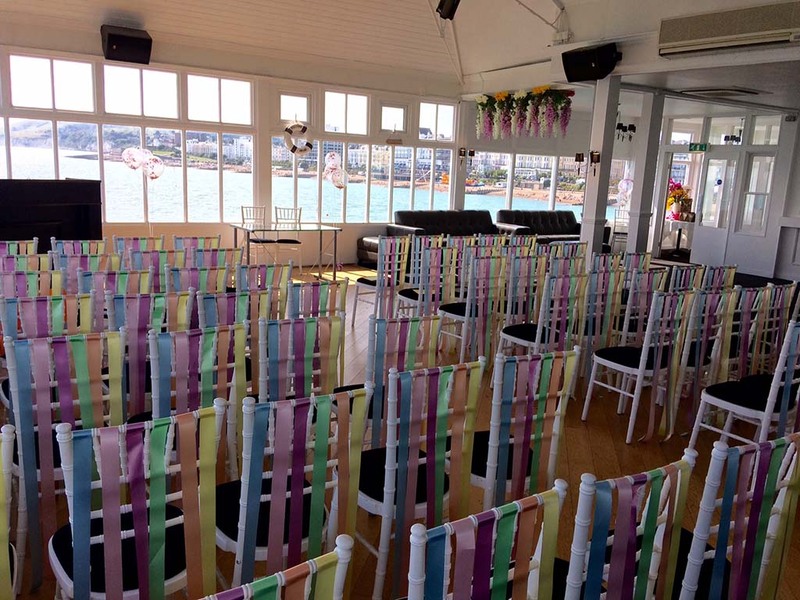 ‘We held our wedding ceremony & reception / party at the Ocean Suite & could not have asked for a better venue – the approach walking down the pier, characterful room with sea views, & thankfully great weather out on the terrace made it ideal for both. Fran & her team were extremely helpful, friendly, & well organised both in the lead up to & on the day which meant that everything went as close to perfectly as we could have hoped for. We were able to access the room the day before which was a huge help in getting our decorations up. Following the ceremony Fran’s team then had no problem re-setting the room for the meal while also ushering our band in to set up & serving welcome drinks out on the terrace, no small feat! The food was all great & served quickly & efficiently table-by-table to our 150+ guests while drinks were kept well topped up. "Well, where to start? We had an absolutely fantastic time on our wedding day. Firstly, we would like to thank you for all your help from our initial introduction and viewing, through to the day after the wedding. You have been completely professional and friendly throughout. If we had questions, we emailed or called and you always answered them. Nothing was too much trouble. Your calm and efficient manner really helped us with planning and eased our concerns. The night before when we set up the room, you were on hand to help and run through last minute niggles. Onto the wedding day itself - I had prepared you that there may be a handful of guests not arriving. I text you in the morning to confirm who was not coming, and you replied saying all received. We had requested to be let into the room on our own before all our other guests, so we could have ten minutes on our own. You facilitated this, and kept our guests on the terrace with arrival drinks until we were ready. Then we allowed the rest of our guests to enter into the decorated Ocean Suite. When we entered the room, it looked fantastic, and you had removed the places that we had spoken about in the morning. It's fair to say all of our guests were wowed by the room itself, and really is such a beautiful setting. Then of course, the usual rush to the bar area - You had enough staff on hand to ensure no one was waiting long to be served. The drinks were a reasonable price, and your bar was sufficiently stocked. It was then time for some food. We had opted for BBQ for our wedding breakfast to be served at 3.30pm. As with all these things, we ran over (due to photographs) by around 20mins. You kept the food warm and ready to go and served us table by table very efficiently. I have to say my burger was a little bit dry and may have sat there a while - saying this I had no sauce on it to avoid any spillages on my ivory dress! Everyone I spoke to at the reception seemed very much to enjoy the food, and said there was plenty enough variety and amount. There was nice selection of meat, salad, coleslaw, and roasted veg etc. Suffice to say, 99% of guests were satisfied. I think this is pretty hard to achieve, but you and your team did it! You then served pudding. The brownies got a very warm reception, and the little mini tartlets were nice, but maybe a bit small. Or maybe if there were another dozen on the plate that may have been a bit better. None the less, they were tasty! 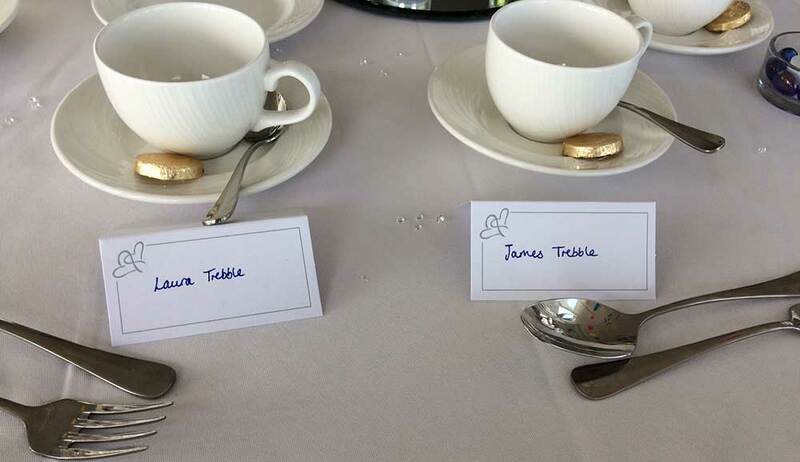 We then had tea and coffee served to each table. The air conditioning broke. This is one of those out of your control things that just happened. It was not ideal, but certainly didn't spoil any part of our day. Your staff were incredibly friendly, helpful and organised. This includes bar staff, restaurant staff, security and anyone else behind the scenes we may have missed. And it was noticeable how nicely turned out they were - it really makes a difference when staff take pride in their appearance. They turned the room around with no hassle or fuss. And the evening food was really good - I think we may have ordered too much, but then it's better to have too much than not enough. I am finding it hard to find fault in anypart of our wedding day. It was absolutely tremendous and the setting was perfect! 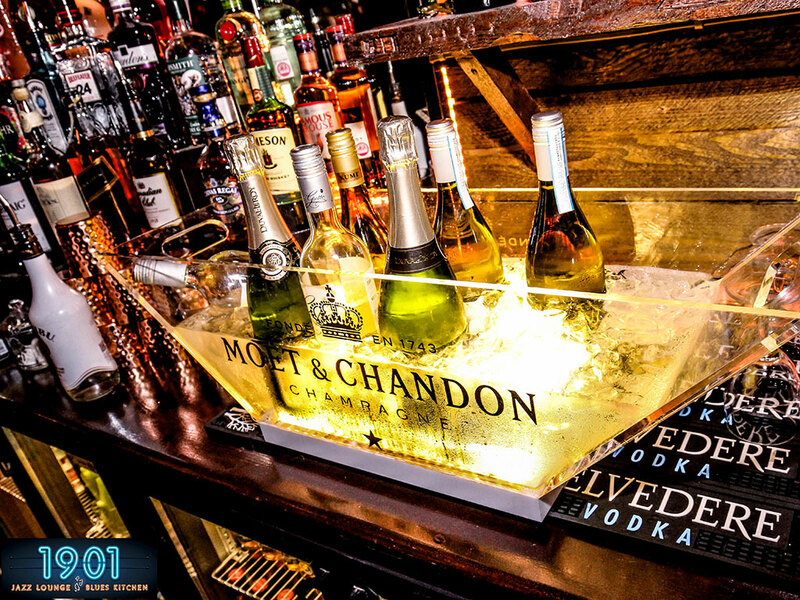 We would highly recommend a function here."" "Jonathan and Jean are now relaxing on their honeymoon in Bali and will be in touch with you on their return. However, Val and I just wanted to express our own thanks to you for all your hard work on Saturday. The whole day was very enjoyable and hugely successful, in no small part due to the considerable efforts of you and your team - please pass on our sincere thanks to them. With that number of people it must have been a logistical nightmare, but it ran like clockwork. So, you can now tell prospective customers that you can manage receptions/dinners for 150+ people no problem!" "Thank you for your excellent service from you personally and from your team. The Children's and the Adults had a fantastic day out, we had the pleasure of having Mr Gulzar with us please thank him on our behalf. Fran again I can't thank you enough, for your excellent attention and services provided. 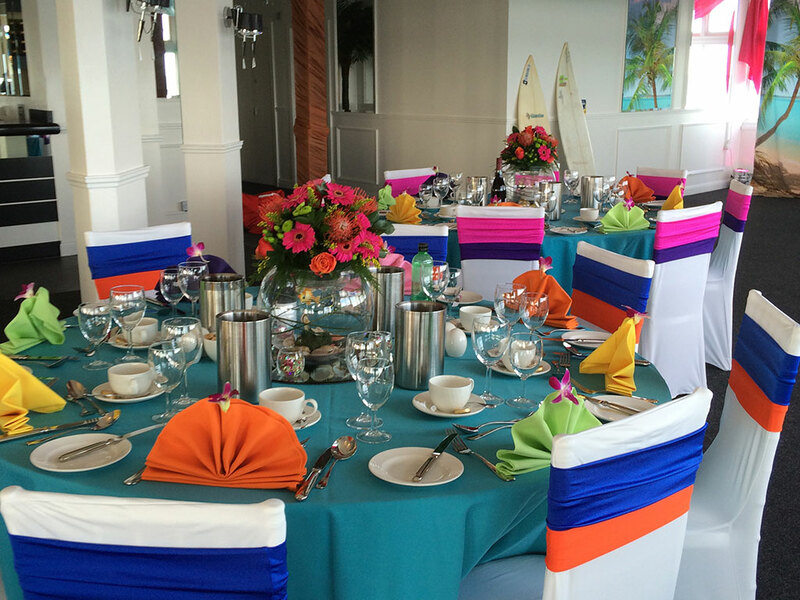 "The Ocean Suite was a fantastic location for our wedding reception. 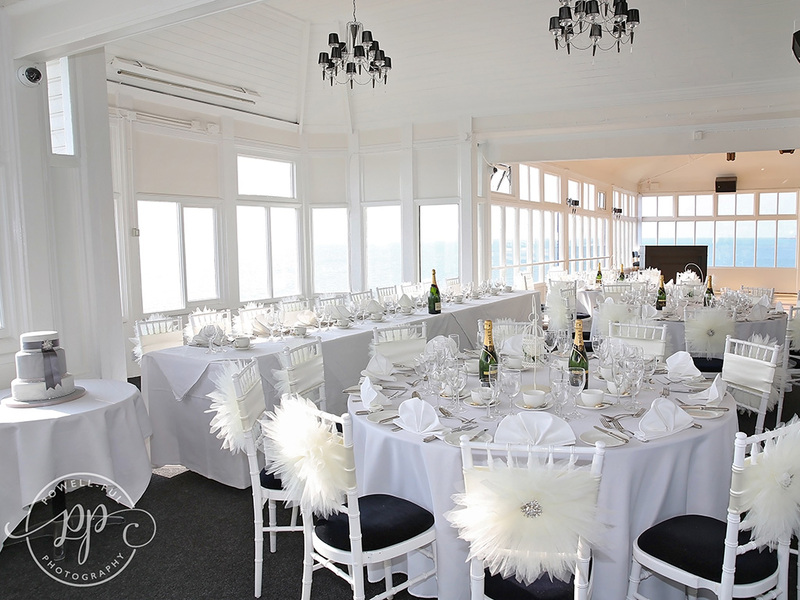 The 270 degree sea views are a stunning backdrop and the room itself was a perfect space for dinner and dancing. The staff were professional and the food was excellent. Thank you to Fran and her team for their hard work in ensuring that the evening went without a hitch. We could not have wished for a more perfect evening." "Firstly, thank you for hosting our event on the 3rd March. I wanted to wait and gather my thoughts and also to get a grand total before a wrote to you. I can now confirm that we raised £2072.26p From the nights entertainment. From the moment we started talking about the event I knew that I was in safe hands. The closer we got to the 3rd it was clear that it would run smoothly. I have to say though that I wasn't expecting it to run as smoothly as it did. You always expect something to stand out as something we could have done better but not on the 3rd. The food was fabulous. The staff were friendly and courteous. Even to the point of going off to get a hot chocolate from god knows where. When Ruben took over towards the end of the evening you might think that there would be a slight glitch on the hand over but it kept on running smoothly. I have to say that Chris at the bar was a very pleasant and friendly chap. A real asset to the company. But without the help of Fran we wouldn't have been able to make the evening what we wanted. Because of the charities we were trying to raise money for I was getting a bit stressed that things wouldn't be right. But Fran really went above and beyond and made the evening really special. I haven't heard a bad word from anyone about the evening. Everyone felt welcomed and found the venue a happy place to be. I don't think this would have been possible without Fran at The Helm. A real ambassador for the Lions Group. Thank you for a fabulous evening"
"This was the first time we'd held one of our cream tea fundraisers in the Ocean Suite on the Pier and I was delighted with the success of the whole event. The cream tea itself was absolutely delicious with a good range of sandwiches, cakes and obviously the traditional scones, cream and jam. We'd had to move from our originally venue on the pier of their Victorian Tea Room, as the number of bookings exceeded their capacity. So the Ocean Suite had to live up to high expectations! And I can say, hand on heart, that the stunning views, the exemplary service provided by the staff and the delicious cream tea all ensured it was a very successful event for us. I was also pleased it gave an opportunity for a lot of our older members and supporters to support one of our fundraisers more up their street rather than a late, formal evening dinner. 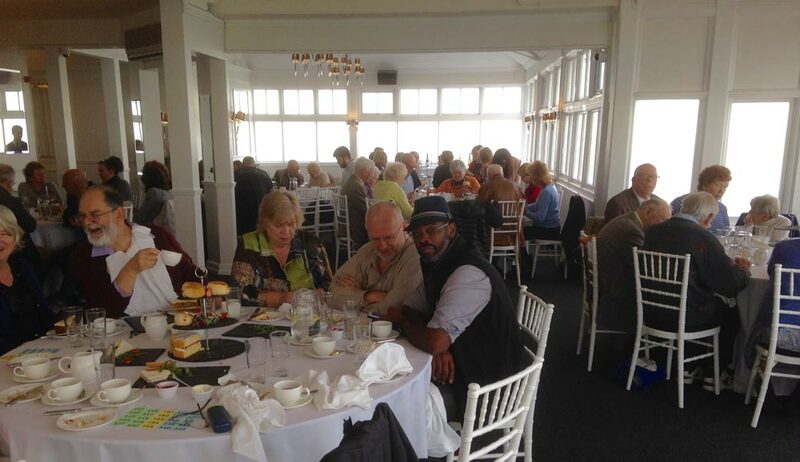 Full marks to the Lion Group for ensuring we all had such an enjoyable spring afternoon on our beautiful, iconic Eastbourne Pier." "We used the Ocean Suite for our annual staff ball which included a 3 course sit down meal and disco afterwards for 105 people. 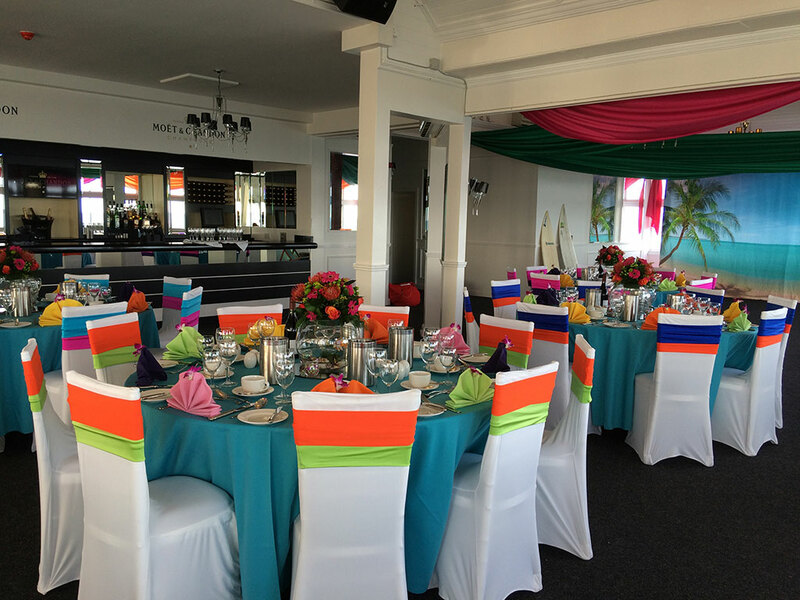 The setting is beautiful and the staff and management could not do enough to ensure the ball went smoothly. Fran was very accommodating and co-ordinated the event very well. 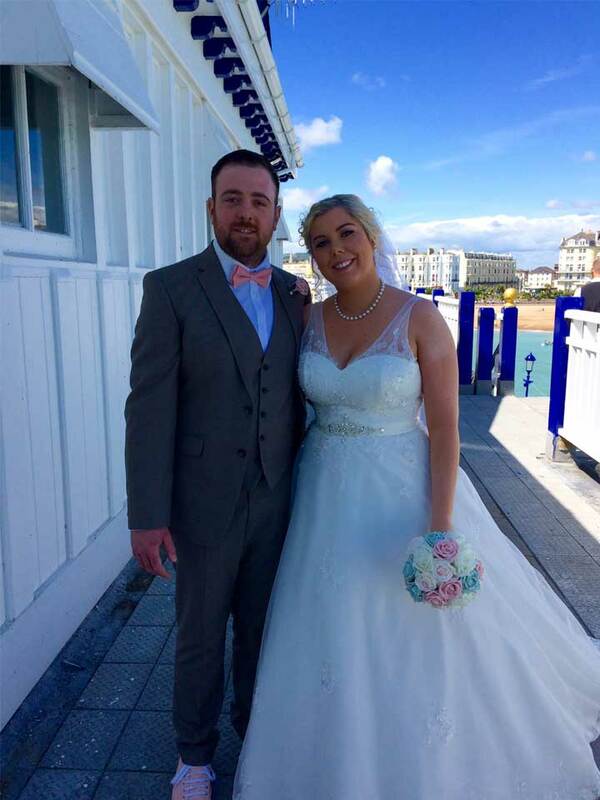 The menu was varied and the wine selection very good"
"We want to personally thank you and all of the team at the Ocean Suite Eastbourne Pier for making our special day go so well. 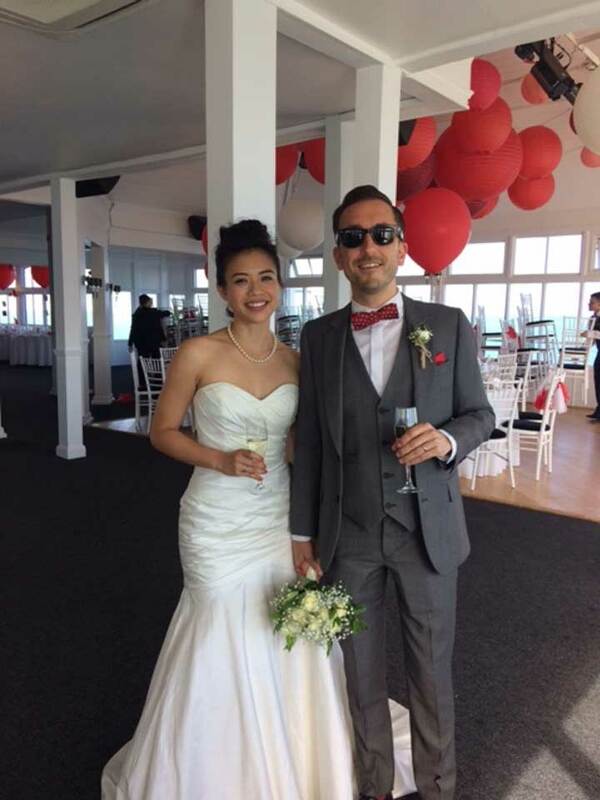 Your help and advise in the preparation all paid off: on the big day everything went as planned and the venue looked brilliant. Everybody that attended the wedding had an excellent time and they all commented what a great, unique and well organised venue it was. We would definitely recommend this venue to anyone. Fran want to thank you for all your efforts in advance of the wedding and on the day itself, it was greatly appreciated. Finally also a big thanks for even organising the sun for appearing for the whole day - no mean feat for December!" "The venue is beautiful, spacious and clean. The staff, each and everyone, very were very well turned out and polite a credit to the Pier"
"We had such a brilliant day, thank you for all of your help, I want to do it all again! It was so great to be able to use the decking and the stairs now the scaffolding has gone. 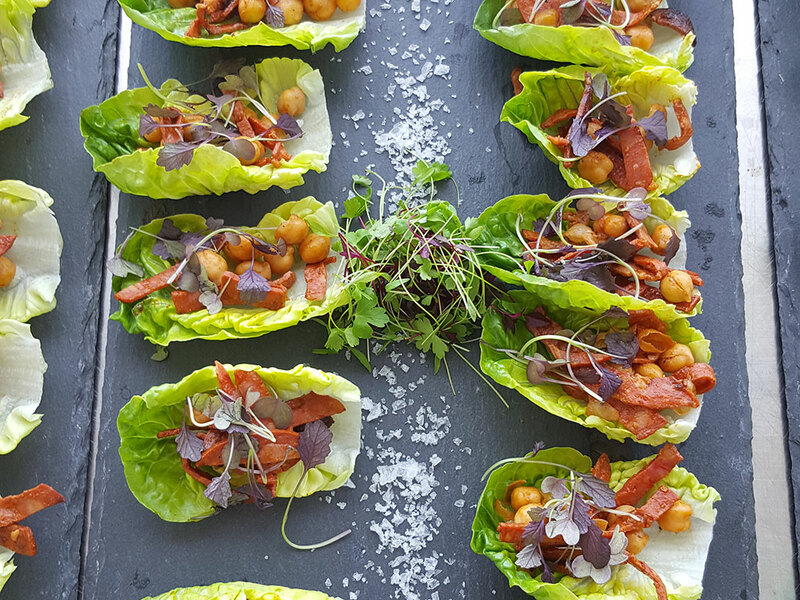 The food was lovely, really tasty and it was great that all of the special requests with food could be catered for. It was brilliant that our late guest had his dinner saved for him too. All the staff were so lovely and helpful and looked after us brilliantly after you had gone. Even the night before, the gator was ready and waiting when we arrived and everyone was really helpful. "The first thing I have to mention is the view, WOW, it’s incredible. The panoramic scenery is breath taking and was the perfect back-drop to our event. I also can’t thank Fran enough for her support in organizing the event, nothing was too much trouble. On the night, we were well looked after, all our guests needs were catered for and everything ran perfectly, just as planned!" "Just wanted to say how much we enjoyed last Friday at the Ocean Suite, the food and service were excellent and it is a great venue. Could you keep me informed about any events you may have in the future which we would be able to attend. On behalf of Eileen, Keith, Jenny and myself, many thanks"
We had a great day in the Ocean Suite on the 9th August. The room was great for our needs – enough space to lay out our equipment, it was easy and close access to our shooting on the pier. Sarah, your member of staff who looked after us was brilliant, helping us quickly and efficiently wherever she could. It was particularly good that she was there whilst we were out shooting as we left her looking after thousands of pounds worth of equipment and clothing. Other staff on the pier were really helpful too, giving us directions, carrying and moving things for us. The small buggy and trailer was great for moving equipment up and down the pier. You made our shoot a lot easier in many ways. I would be very happy to shoot here again"
"The event went very well and the feedback I have received has been very positive. There was plenty of good food. I thought initially there wouldn't be enough but my fears were unfounded. The quality of the food and the service we received from everyone was excellent. The comment you may wish to consider is the lack of signage to the stairs leading to the Ocean Suite. Although we had personnel at the pier entrance and at the foot of the stairs, latecomers were at a loss to find the Ocean Suite when these people left their posts. There's not much you can do about the absence of a lift to the Suite for those with walking difficulties. However, we were very grateful for the use of the buggy. Once again, thank you for hosting our event." "First and foremost, we both want to thank you so much for everything you have done both leading up to and on the big itself, you were absolutely amazing Fran, total super woman. Thank you for being there the day before helping us set up and especially to you and to your team on getting the scaffolding covered up for us, which really made it all look lovely on the approach to the building. Everything was fabulous - with the exception of the main course which I know we spoke about on the day, just comments to the chef that the lamb wasn't at all like the dish we signed off on, and the halloumi dish was a little inconsistent with some guests having quail eggs and others not, and all with tartar sauce which Max really dislikes. Some guests have since also mentioned that they didn't all receive canapes. Other than the main meals/canape mystery, the starter and dessert were lovely. Walking on to the pier to the Bruno Mars song was amazing and a lovely touch also :) We both had a lovely time and all of our guests were taken aback with how stunning the Ocean Suite looked. I think we were also very lucky with the weather - a perfect day!" 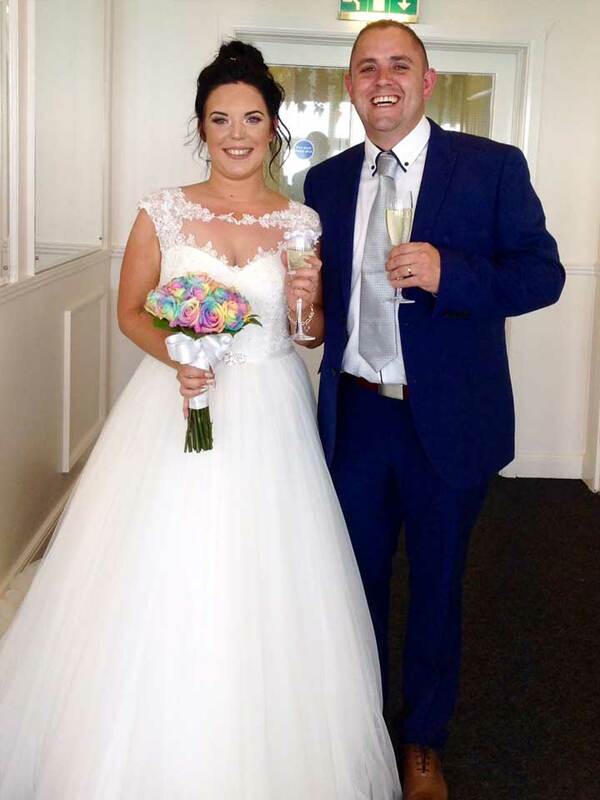 "Dear Fran, Thanks for all your hard work sorting out our impossible requests and helping to make our day really special"
"I start off with a big thank you for sorting out a fabulous party for me it couldn't of gone better everyone enjoyed themselves and said how great the venue was. 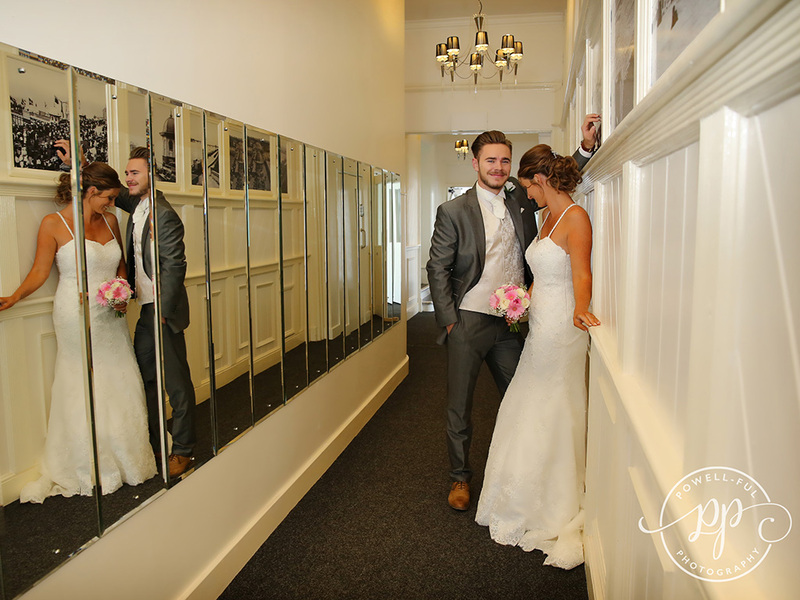 The ones who stay also were happy with the room"
"Thank you for all of your help regarding the planning of our wedding, we had a magical day. Please can you pass on our thanks to Manas and the team. We had the greatest day"